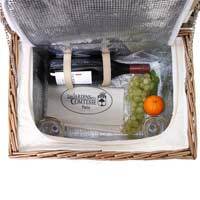 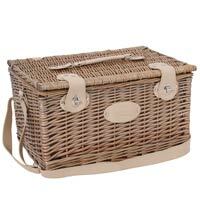 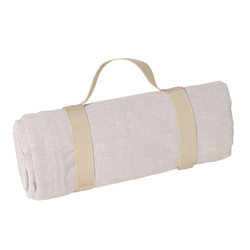 Check out our latest Bel Air picnic basket made in grey wicker, lined on the interior with beige fabric. 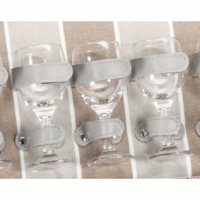 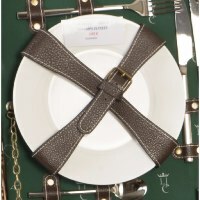 All the straps are made with light-coloured imitation leather. 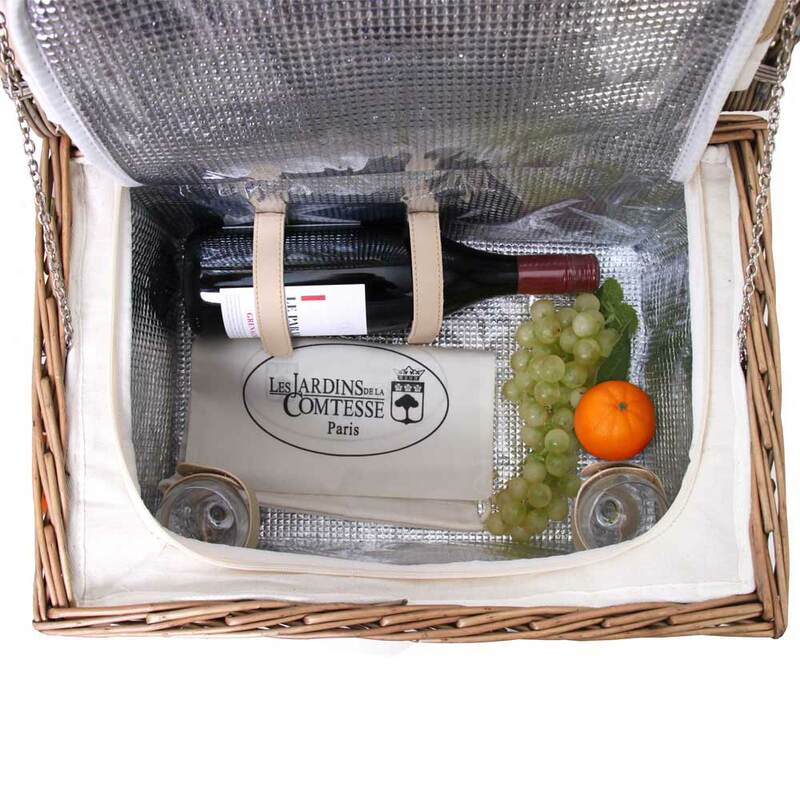 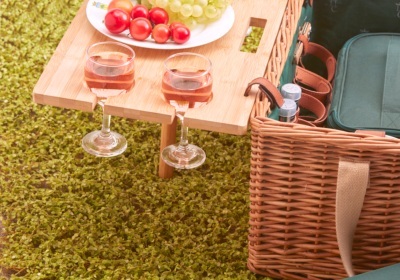 This picnic basket was designed for 2 people. 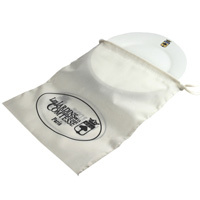 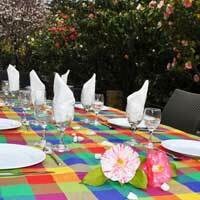 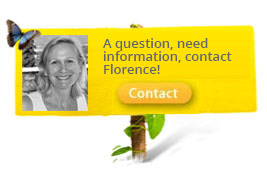 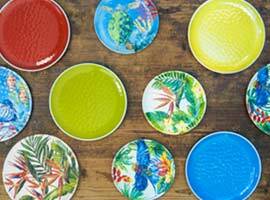 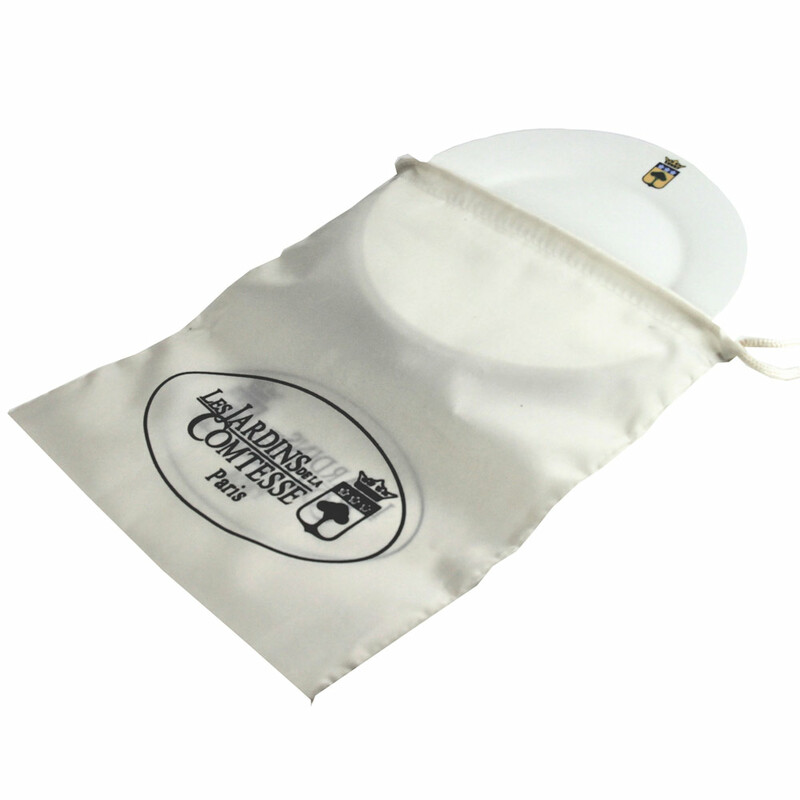 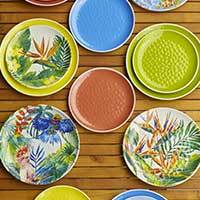 The plates are made of melamine, which is a big advantage because they are unbreakable. 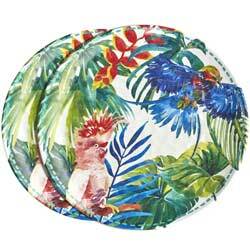 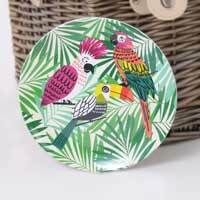 The plates display parrots in their tropical environment. 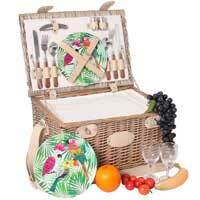 The colourful plates add an exotic effect to this picnic basket, and it’s perfect for an outdoor dinner in the forest. 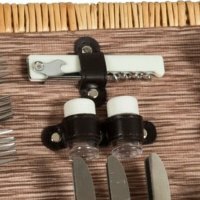 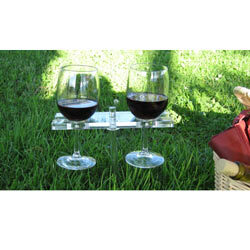 The picnic basket’s cutlery is made of stainless steel with wood-effect melamine handles. 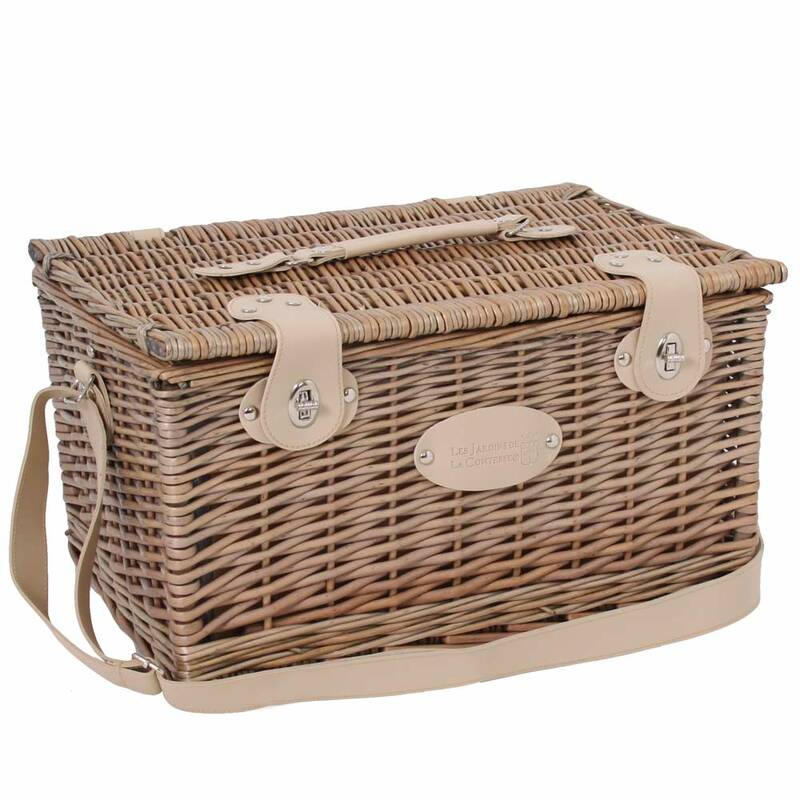 In addition to a shoulder strap, this picnic basket has a leather handle on top to make it easier to carry. 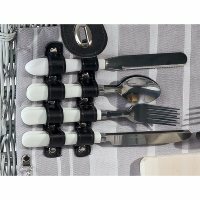 2 sets of melanin covered wooden style cutlery comprising 2 knives, 2 forks and 2 dessert spoons.